A handful of students is seated in a collection of rickety desks too small to support their laptops and thick scripts. This is Astonishing Idiots, a new student-run theater company housed under the Department of Theatre Arts. Astonishing Idiots is currently preparing for two shows this semester. The first will be on Wednesday. 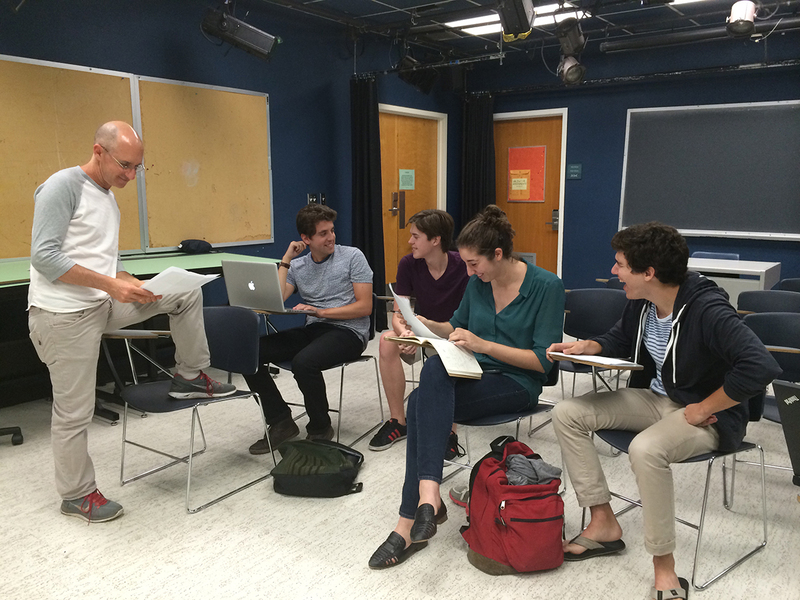 Faculty instructor Oren Safdie, a playwriting resident at the renowned La MaMa Experimental Theatre Club in Manhattan, wants to give student playwrights a chance to realize their work in a practical setting. The production will be constructed around selected scripts based on the theme “Upper Class Horror Stories.” The scripts come from University of Miami students. If enough interest is generated, the company hopes to start monthly shows in the spring semester. “You don’t know until you try,” said junior Adrian Alonso about the playwriting process. The theater company’s work is packaged under an official course, THA 485, which mostly takes on the form of a playwriting workshop and independent study with other directors, actors and writers. As performance night looms nearer, the company is focusing on finding student directors, casting actors and finalizing the pool of script submissions, which include both monologues and short scenes. The students swap pieces, read characters and dissect each others’ writing. New ideas burgeon in the middle of the workshop; should they add comedic interludes? Slapstick scenarios? All the while, Safdie challenges the playwrights to reflect on their stories, suggests improvements and recommends casting possibilities. Though the playwrights enrolled in THA 485 contribute a good portion of the writing, acting and directing involved in the show, the theater company is open to script submissions from all students on campus, regardless of school or major. The members of Astonishing Idiots meet both informally and in workshops with Safdie, who commutes to Miami from Los Angeles on a weekly basis. He offers guidance and experience, but the production process is very much in the hands of the students. CONTACT: Submissions for the next show will soon be accepted at astonishingidiots@gmail.com.